Michele began his patent practice in 2007. His activity has focused on the filing and prosecution of applications for patents and design registration, as well as on resolving disputes in and out of court concerning patents, designs and trade secrets prevalently in the fields of mechanics, electronics, electrical engineering and biomedical engineering. Michele is enrolled with the Register of Court-Appointed Experts on Industrial Property of the Court of Trieste. He has also acted as ex-parte expert in litigation concerning patents, infringement of registered designs and unlawful use of trade secrets. Michele lectures on intellectual property issues for universities as well as for public and private institutions. Italian and European patents in the field of mechanics and electronics. Counsel on patents and designs. Technical counsel in disputes in and out of court in Italy and abroad, particularly in Germany. 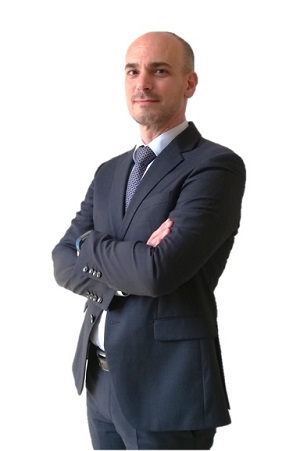 Italian and European Patent Attorney, Italian and European Trademark Attorney, Community Design Attorney; enrolled with the Register of Court-Appointed Experts on Industrial Property of the Court of Trieste. Five-year degree in Mechanical Engineering, University of Padua.